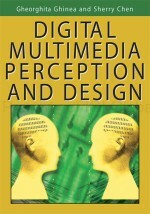 This chapter presents the differences between left- and right-handed persons in the aspect of computer-presented information and virtual realities. It introduces five test scenarios and their results addressing this question. We showed that there are moderate differences between groups preferring different hands. The different needs of left- and right-handed people may play an important role in user-friendly interface and virtual environment design, since about a tenth of the population is left-handed. This could help to undo the difficulties that the left-handed and ambidextrous routinely encounter in their daily lives.